Taproot Dentsu, the creative agency from Dentsu Aegis Network, has rolled out a campaign for Network 18’s CricketNext.com. The campaign comprises of two films, in which arm-chair experts are unexpectedly given a platform where they can be heard and valued. The campaign stars Anil Kumble as a commentator. The first video presents Kumble in the commentary box as the two other characters as common man or the ‘arm-chair experts’ watch the game on television. 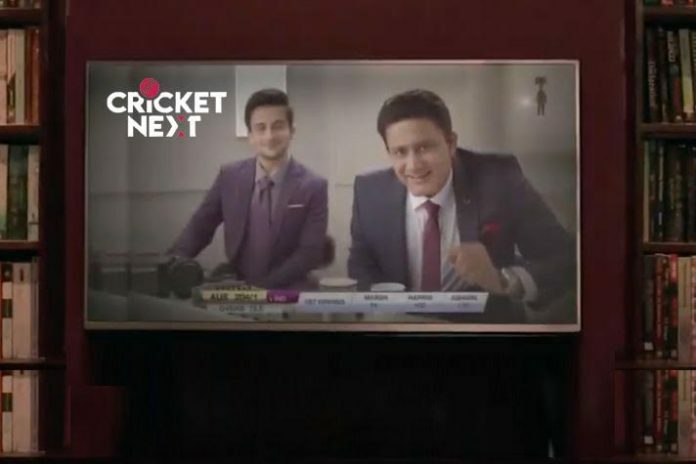 The second video toss presents a dialogue between Kumble on the television screen and the fan in the drawing room, who is living her ‘arm-chair expert’ excitement whether the team should bat or bowl first after winning the toss. Speaking about the campaign, Rahul Kansal, Group Brand Advisor, Network18 said, “Cricket Next is a next level app for the next level fan. Beyond just giving live scores and basic commentary, it invites passionate cricket fans to offer their opinions and share their insights on the game. The film tries to dramatise this promise… that it’s an app where fans rule.